Jason, a werewolf and friend to Anita, asks her to go home with him to see his dying father - a father that was abusive and cruel. Jason needs to say goodbye to his dad and try to forgive him for how he was treated growing up. How can Anita say no - even is it means she has to fly? 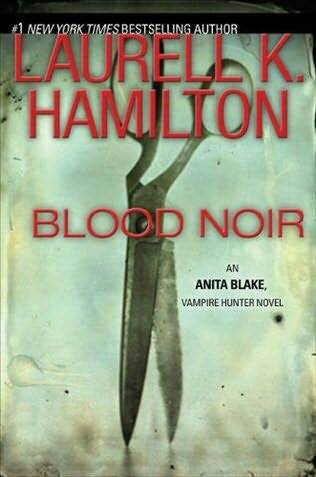 With a unforgiving father and a bad case of mistaken identity, Anita tries to be a good friend and support Jason anyway she can, but Marmee Noir, the mother of all vampires chooses that weekend to strike. She cuts Anita's ties to Jean-Claude and Richard and attacks her with a metaphysical power from a thousand miles away. Jason Schuyler is a werewolf. He's also one of Anita Blake's best friends, and sometimes her lover. And right now he needs her --not to be a vampire hunter, or a federal marshal, or a necromancer, or even for her rank in the werewolf pack, but because his father's dying. He needs Anita because she's a pretty woman who loves him, who can make him look like an everyday guy, who agrees to go home with him and help him say good-bye to the abusive father he never loved. The fact that Jason is about as much an everyday guy as Anita is a pretty woman is something they figure they can keep under the wraps for a couple of days in a small town. How hard can that be? Really, by now, Anita Blake should know better.